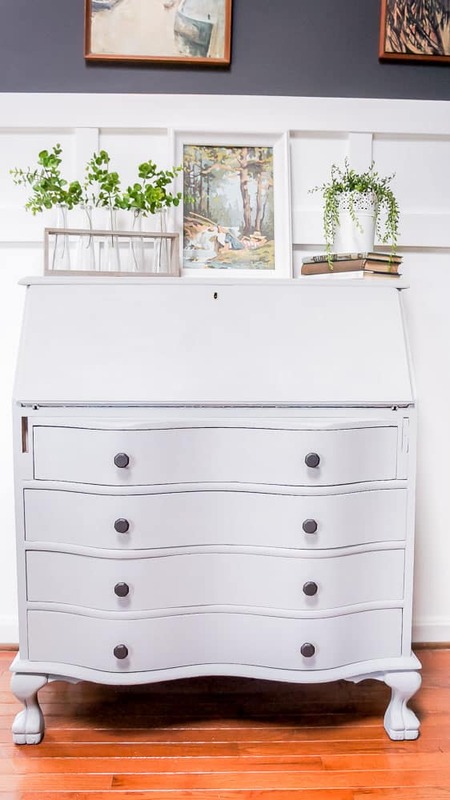 Tips for a vintage secretary desk makeover. 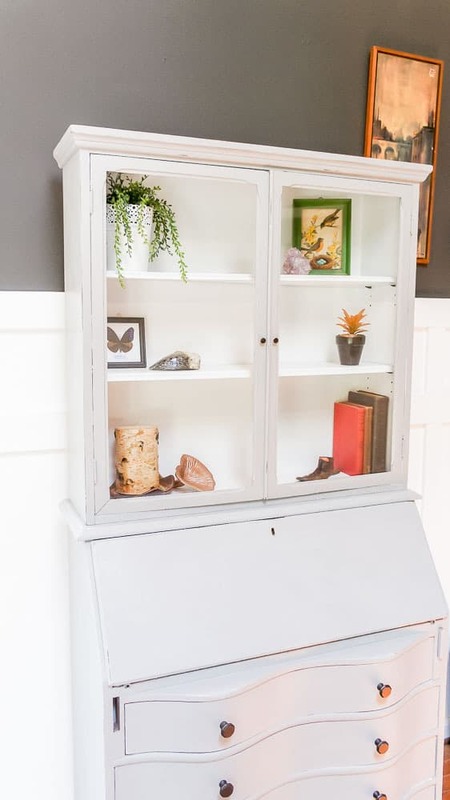 Furniture makeovers can be simple, like this green painted dresser or more complex, like this ombre dresser. 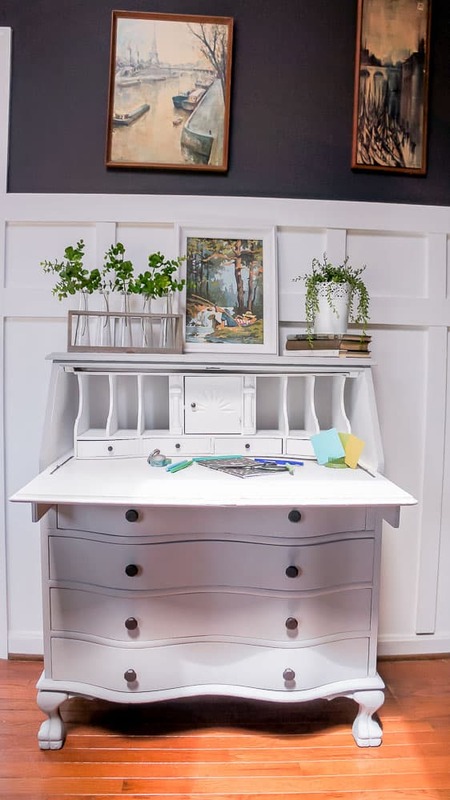 This vintage secretary desk is simple, but since this piece is large and has tons of details, it felt like a more complex project. 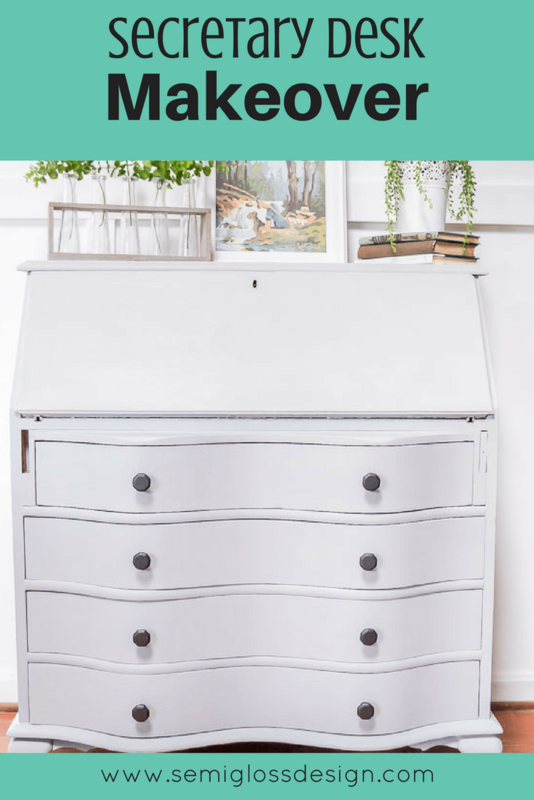 Today I’m sharing a furniture makeover that I’ve been working on for months! 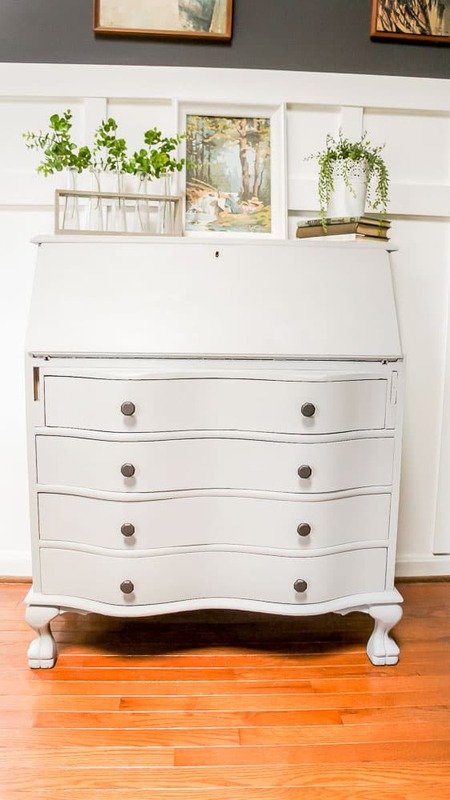 Months ago I brought home a vintage secretary desk to paint and sell. It’s gorgeous and has so many amazing little cubbies. But the thought or painting all of those adorable cubbies pushed it to the back burner for a while. I’m happy to say that my secretary desk makeover is complete now and has gorgeous new hardware! 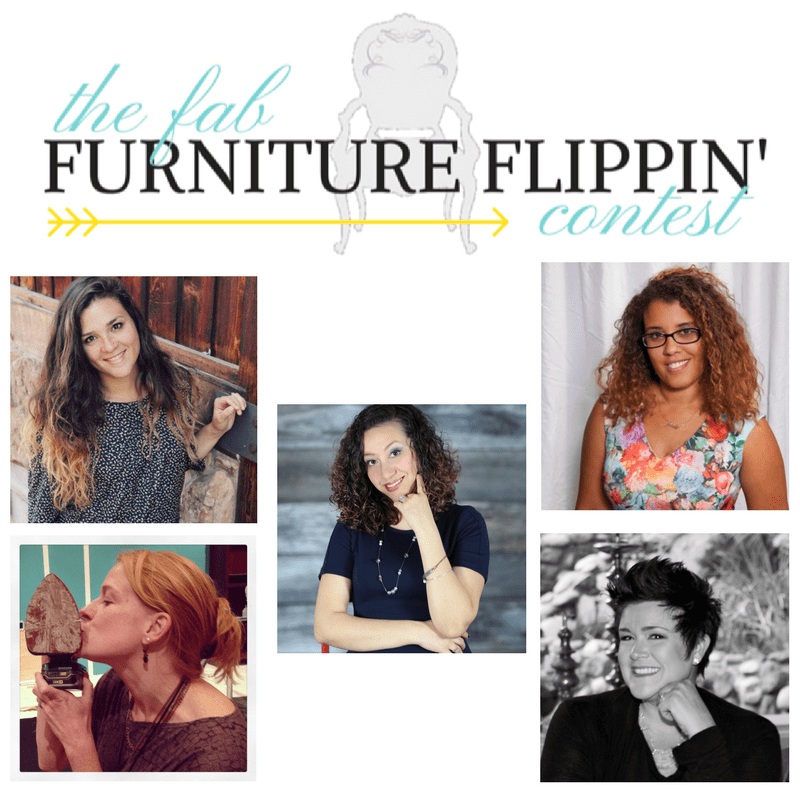 Some or all of the hosts of The Fab Furniture Flippin’ Contest receive monetary and/or product compensation from the sponsoring brand, D Lawless Hardware, in order to complete their themed projects. D Lawless Hardware will also provide the prize package for the contest winner. 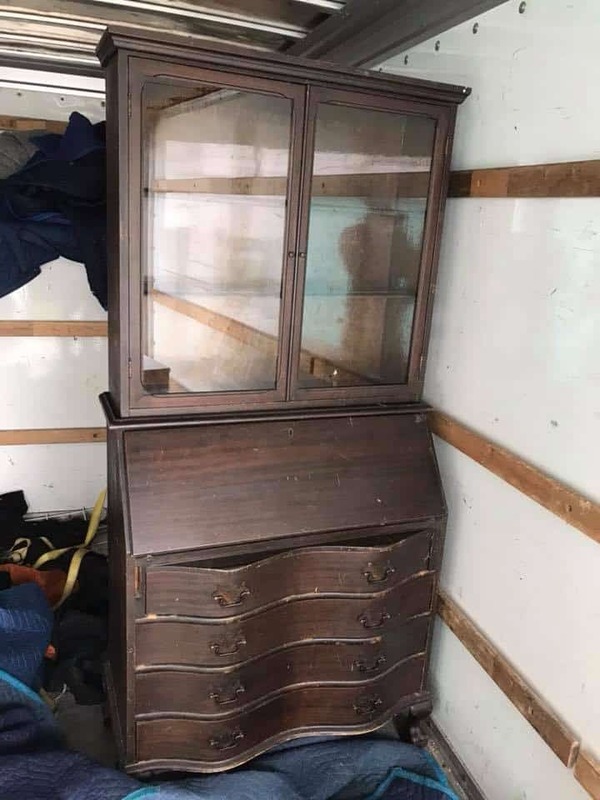 This secretary desk had great bones but needed some love. My husband primed this piece for me using a sprayer and the wood tannins bled through. This shows the importance of using shellac to seal those tannins in! 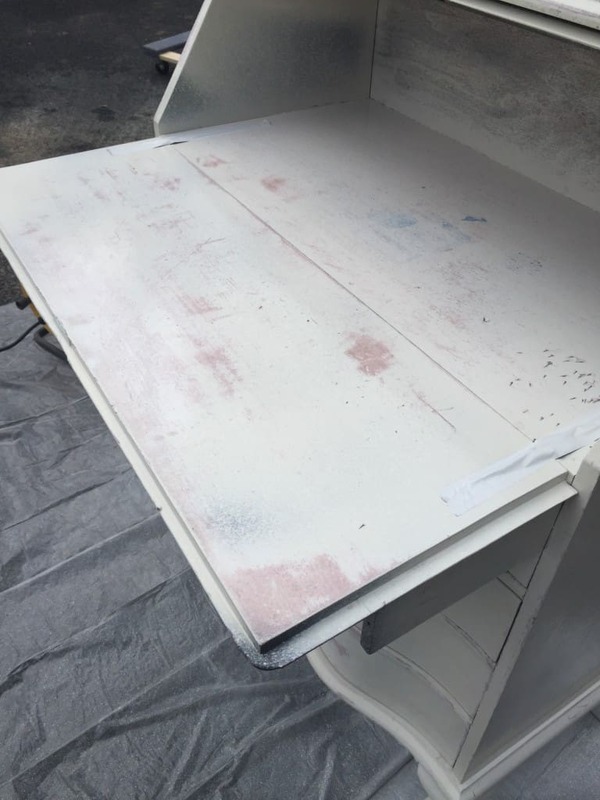 This vintage secretary desk was a dark cherry color before. Painting it with primer first made it easier to cover with light gray chalk paint. Like these feet! So cute, right? The desk received new hardware from D. Lawless Hardware. I’m a huge fan of D. Lawless and buy from them often. Their selection is incredible and so is their prices. I used their glass knobs and cup pulls in my kitchen, as well as many other furniture makeovers. 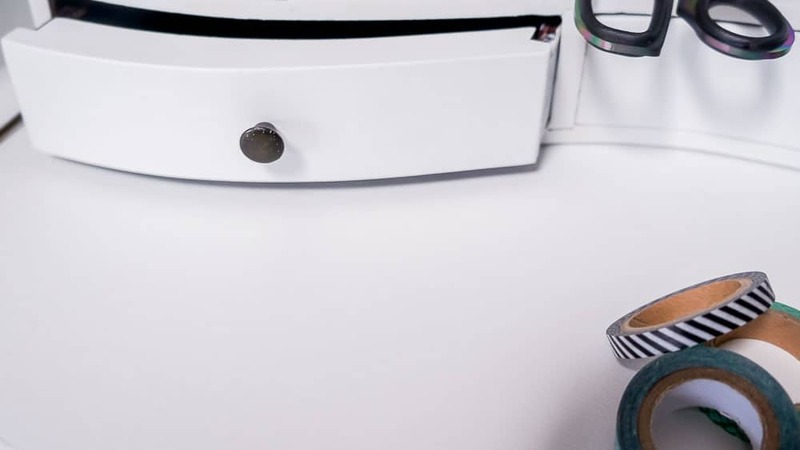 This secretary desk has serpentine curves, which made new hardware tricky. It had the typical gold pulls on it, but to be honest, those are my least favorite look ever. 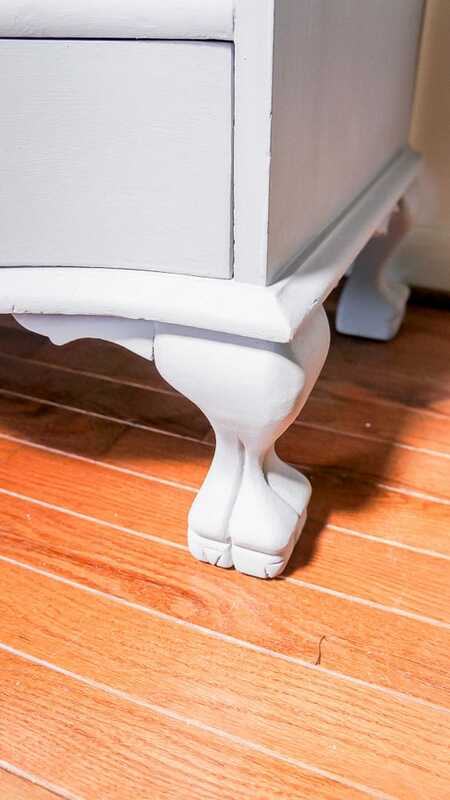 If I’m going to spend the time redoing a piece of furniture, I want it to look completely updated, hardware included. So I filled the holes with bondo and sanded well. I like bondo better than wood filler because it’s so much smoother. Then I drilled new holes at the front of the curves of each drawer for the new knobs. 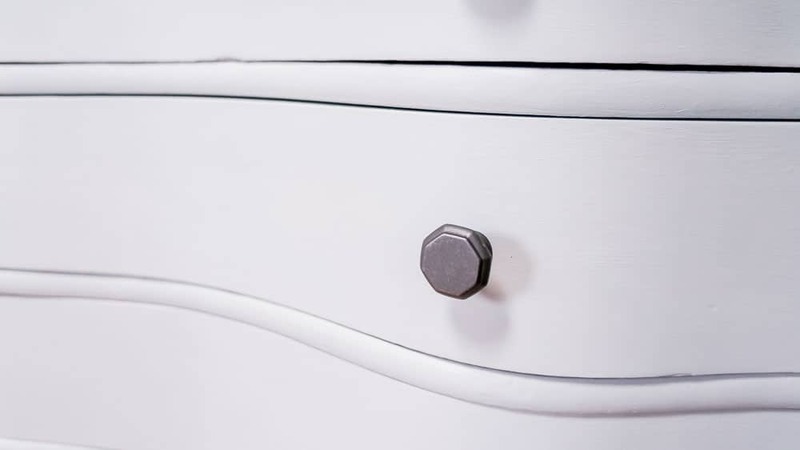 I chose these oil rubbed bronze octagon knobs because I like how classic, yet modern they are. 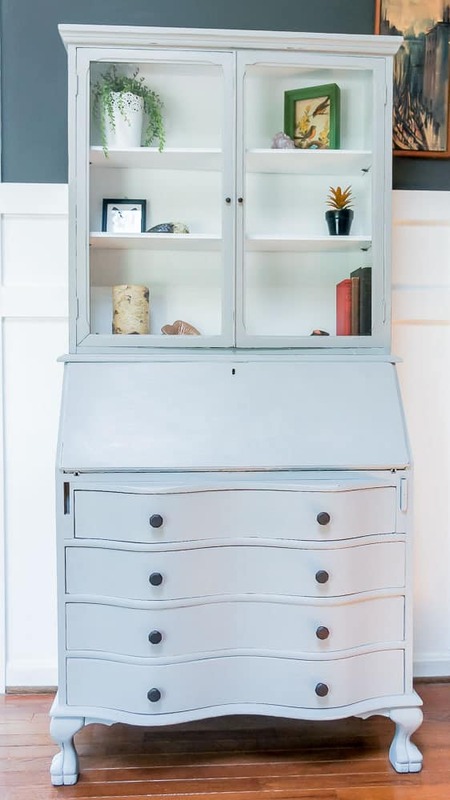 I love how the octagon shape feels modern and the way the oil rubbed bronze contrasts with the gray paint. The inside was painted white to contrast with the gray. It took several coats of paint, but was worth it. I love the tiny drawers so much. 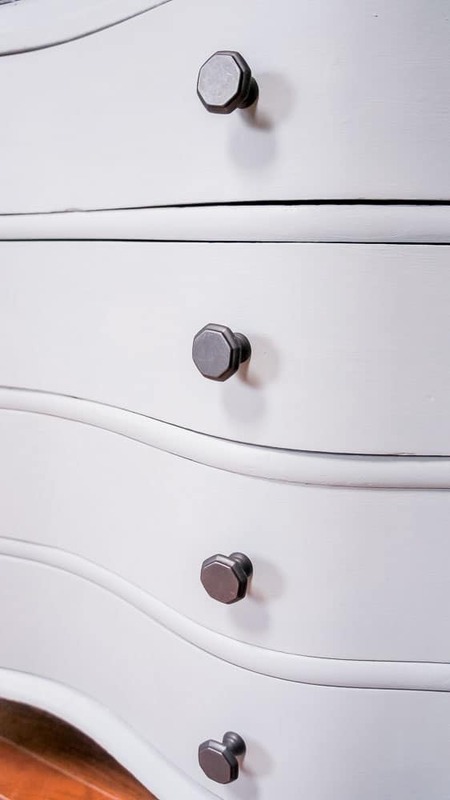 The knobs are original to the piece and look pretty cute with the new knobs! I’ve never found tape to be much help when painting around glass. I would rather just paint and remove the dried paint later. Rubbing alcohol or windex helps with the parts that won’t scrape up easily. I love how versatile this piece is. It can be used with or without the shelf at the top! turned out so pretty and i love it in front of the dark wall! Nice! Did it sell already?